Walking along the canals in Naples, you find images of Christmas everywhere. 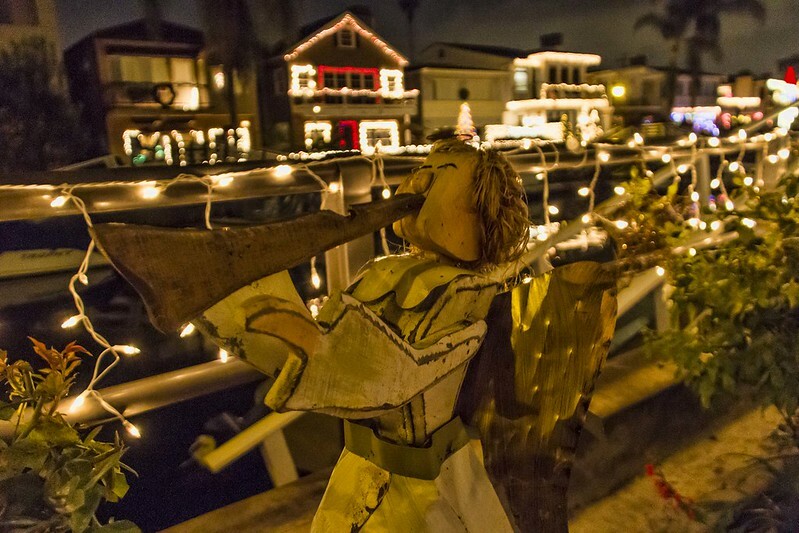 Somehow this angel made me think of Gladys Herdman in "The Best Christmas Pageant Ever." It's one of my favorite Christmas stories. It is a heartwarming tale about six problem kids who get involved with the annual church Christmas pageant. The Herdmans had never attended church and didn't know the Christmas story. Their involvement in the play changes them and many around them. And one of my favorite parts is at the end when Gladys (the angel of the Lord), who is never quiet, loudly announces: Hey! Unto YOU a child is born!